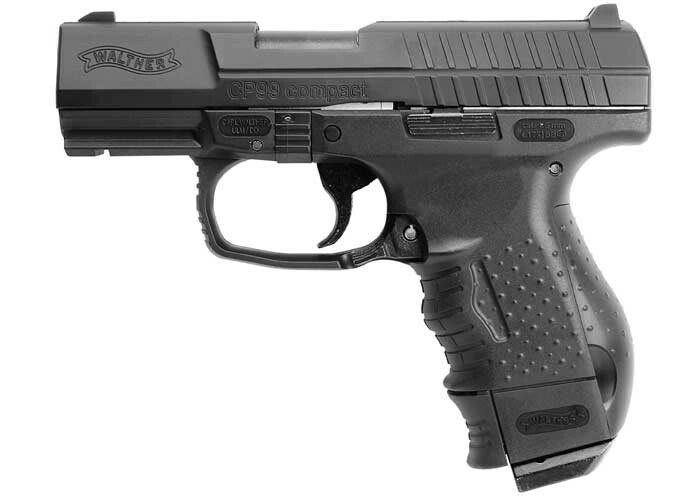 WALTHER CP99 COMPACT. 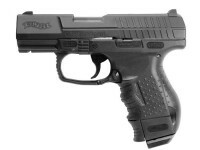 Compact version of the P99. Semi-automatic .177 BB blowback. CO2 powered. 18-shot BB magazine. Weaver rail under the barrel to mount a flashlight or laser. Ergonomically designed grip with finger grooves. 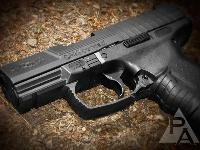 Read and see more about the Walther CP99 in Dennis Adler's latest Airgun Experience Blog. 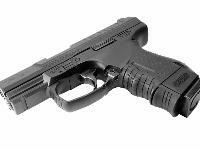 The firearm is used as back-up pistol by special forces. Things I liked: Functions perfectly. Nice weight. Fits the IWB holster that I have for my Walther P99C in 9mm. 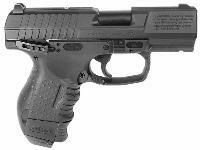 So I can use this BB pistol for target practice in my basement, as well as practice drawing from my concealed carry holster. Things I would have changed: A bit more explicit directions. I wasted about 1 cylinder of co2 figuring things out, but loading and firing accurately are a piece of cake once you are set up. 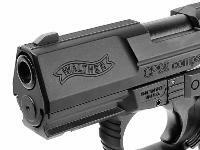 What others should know: I read the horror stories in some other customer reviews and almost didn't buy this gun. I'm glad that I did buy, however. I'm not sure if previous complaints have been addressed by the manufacturer or what, but I experienced -0- issues with my gun. The co2 cartridges pierced without a problem, the BBs loaded just fine (I only loaded my magazines to 15 instead of the listed 18 limit), the safety was easy to use once I figured it out, and the gun fired perfectly once I discovered that I had to rack the slide initially (the blowback handles the cocking thereafter). I get about 100 BB quality firings per co2 cartridge btw. .Accuracy was spot-on at 5 yards. Things I liked: I've had this gun for over ten years. It was my first blowback action BB gun and I have to say it's held up quite well through thousands of rounds. Very useful for staying in practice with minimal cost and more convenience than a trip to the range. Turned into a very useful trainer to help several new shooters adapt to semi-automatic shooting action including obtaining and re-obtaining a sight picture, familiarizing things like shooting stance, slide cycle timing and trigger control. No need to just 'throw them in the deep end to learn to swim' given the low noise, back yard convenience and overall comfort level this gun affords. Things I would have changed: I would prefer slightly longer slide travel, more akin to that of the genuine P99 or P99 Compact. 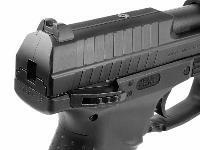 What others should know: Though not as fast as some other bb guns including blowback, this gun still is fun and effective at close shooting ranges (less than 25'). Older models have the 'ejection port' area sealed completely by the cast slide. Newer models are more realistic in this area and the slide is truer to the real model. Things I liked: Good weight, reasonable accurate in 5 feet (in 7 feet still ok, but bb drops bit too much), feels solid on hand, real firearm trigger feel. Things I would have changed: Needs higher power, rifle barrel, better magazine design. What others should know: Magazine broke on third bottle of CO2. is this a blow back? ?